Details of the new Common Paladin card in Knights of the Frozen Throne. 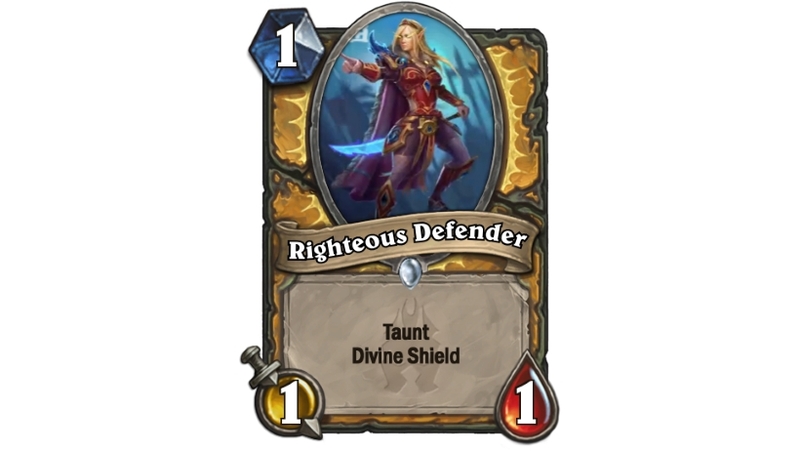 Righteous Defender is a Common Paladin card in Hearthstone's Knights of the Frozen Throne expansion. It's a 1 Mana 1 / 1 minion with Taunt and Divine Shield. Head back to our Knights of the Frozen Throne guide for everything else you could possibly need to know about Hearthstone's sixth expansion!